I’ve just finished creating a lovely silk satin altar cloth with very firey colours and mandala design. I added some golden-coppery metallic accents for a nice sparkle and then took some photos. I’m sharing here with you both the finished item as well as an animated slideshow I created and posted on YouTube. Just click on the video screen to watch the animation. I rather like how it turned out. Please watch and let me know what you think. 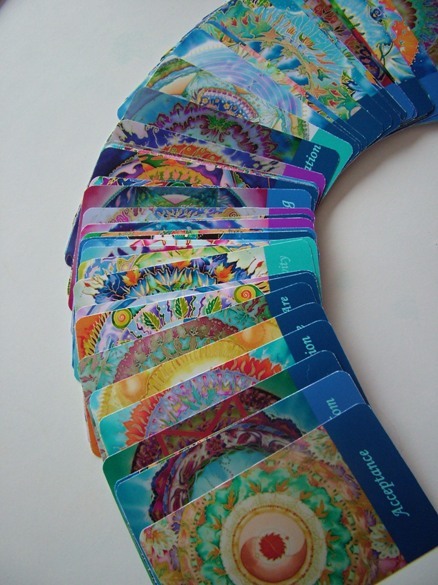 This is an inspiration to create some more altar cloths for card readings. 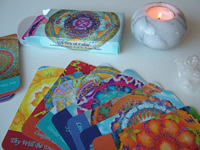 They perfectly complement my ‘Sea of Calm’ mandala oracle cards which you see here in the pictures. 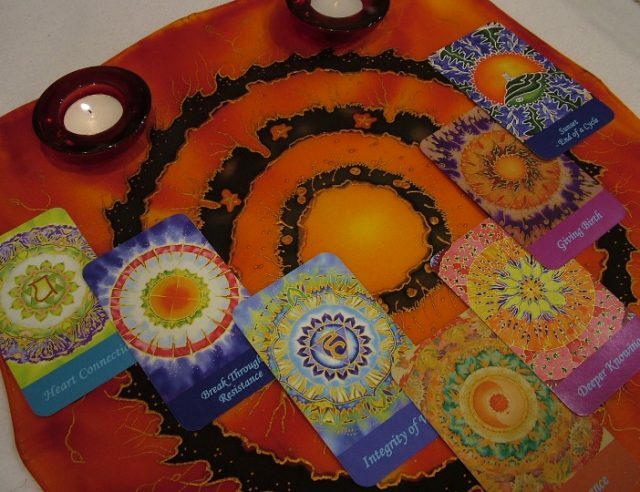 This entry was posted in NEWS and tagged altar cloth, card readings, fionastolze cards, handpainted silk, oracle cards, oracle cloth, sea of calm mandala deck, SILK PAINTING, tarot cloth. Bookmark the permalink.